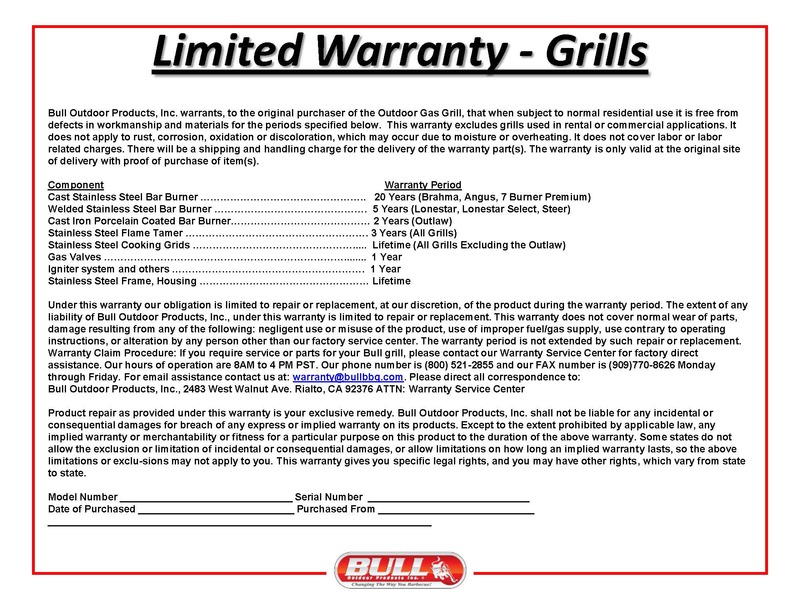 You can obtain more information about the 38" Bull Brahma Drop-In Grill Head w/lights from the Gas Grill Warehouse store by Email gasgrillwh@aol.com or call (281)894-8878. 38" Bull Brahma Drop-In Grill Head w/lightsis just one of the many outdoor Kitchen Products available on the Gas Grill Warehouse web site. The Bull Brahma is a premium 38" five burner stainless steel built-in grill. Solid stainless steel cooking grids and cast stainless steel burners are used to ensure years of durability. It features a twin lighting system and an infrared rear burner with rotisserie kit. The grill is available in natural gas or propane.